Preheat the oven to 400°F. 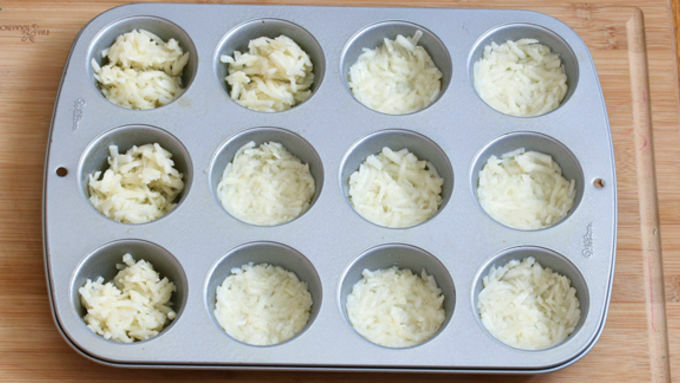 Grease a regular-sized 12-cup muffin tin. Melt the butter over medium-high heat and cook the leeks and onions for 6-7 minutes until tender. 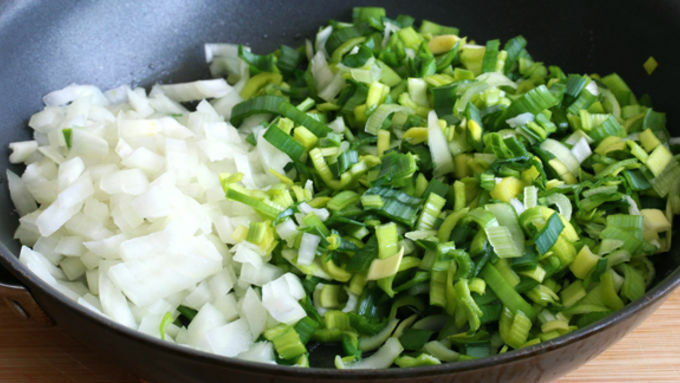 While the leeks are cooking, combine the hash browns, olive oil, salt and pepper in a bowl. Press about 2 heaping tablespoons of hash brown mixture into each muffin cup. Distribute any remaining hash browns. Bake on the middle rack for 30-40 minutes or until the hash browns are golden brown. 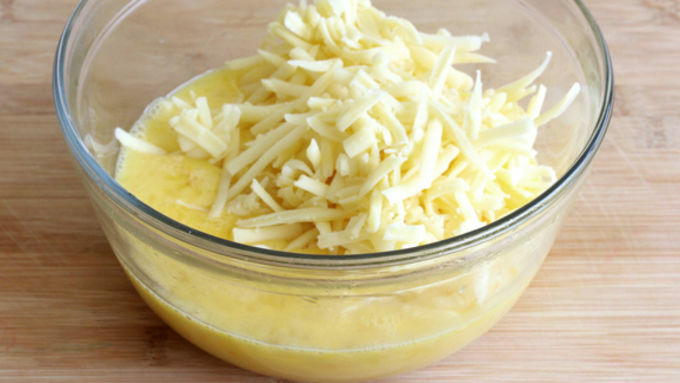 Make the egg mixture: Combine the beaten eggs, salt, pepper and Irish mature cheddar cheese in a bowl. 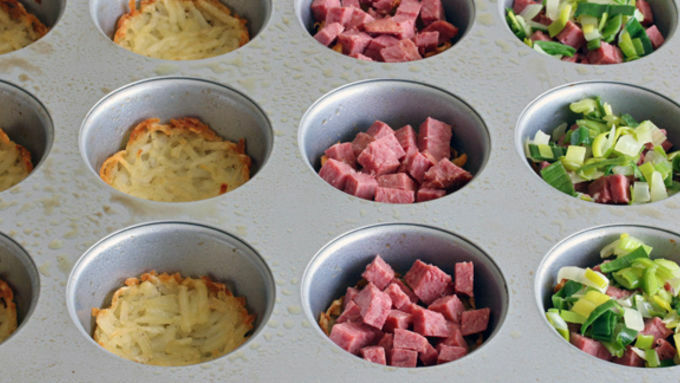 Put a heaping tablespoon of chopped corn beef in each muffin cup followed by a heaping tablespoon of the leek mixture. 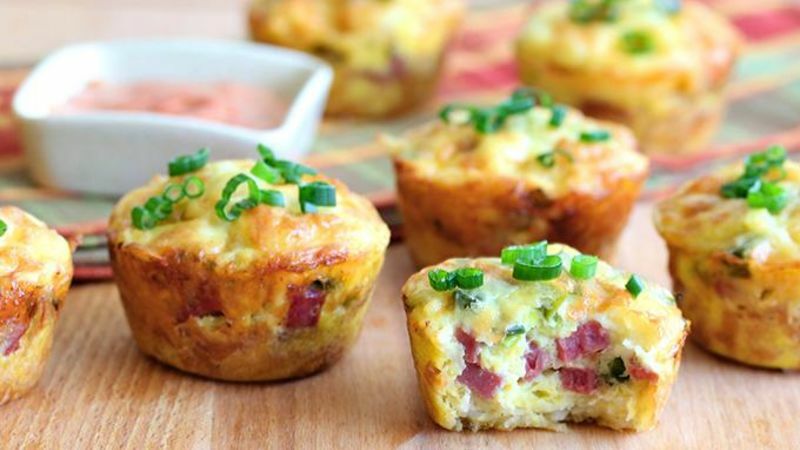 Put 3 heaping tablespoons of the egg/cheddar mixture in each muffin cup. Distribute any leftover mixture. Bake the muffins at 400°F for 18-20 minutes until they&#39;re golden brown. Let the muffins sit in the tin for 5 minutes before removing them. Potatoes, leeks, corned beef, and cheddar come together in a delicious Irish-inspired dish. Who doesn't like corned beef? It's delicious and so ... so ... IRISH! So we're going to capitalize on the Irishness of the corned beef and add some additional stereotypical Irish ingredients to these delicious muffins. Enter mature Irish cheddar (ooooh, the flavah!) and buttery leek. Trivia: Did you know that for years the British one pound coin featured the image of a leek? Our U.S. coins have fiery torches, bold eagles, grand buildings like Monticello, and the British pound coin featured ... leek. Cool. The reason leek holds such a prominent place in British history is because it helped win a war. Seriously. So there was this ancient battle between the Welsh and the Saxons that took place in...a leek field. Seriously, it did. It wasn't planned that way, it just happened to be the setting. I know, just one of many examples of quirky British history. And it gets even quirkier. The cunning Welshman decided to use those buttery leeks to their advantage and chose a highly unique strategy of warfare: They plucked the leeks up and wore them on their heads as camouflage! I speak the truth. And the Welsh won the battle because as the Saxons approached what they thought was an innocent, peace-loving leek, they were taken back as the leek suddenly stood up brandishing a sword. And ever since then, the Welsh celebrate their victory by pinning a little leek to their jacket or shirt the first of every March, St. David's Day. So there you have it. 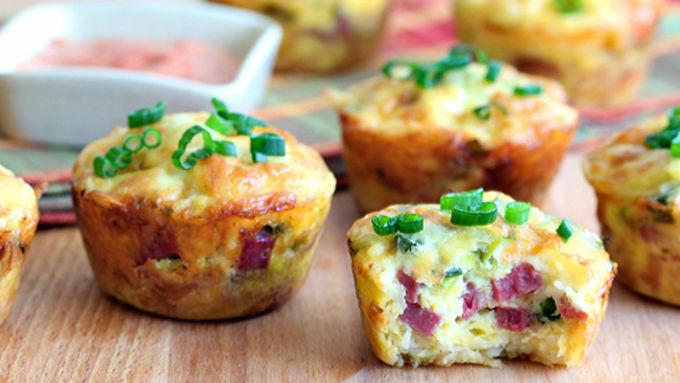 What better way to enjoy leeks than with these fabulous Irish-themed muffins! Serve with your favorite dipping sauce. Enjoy!